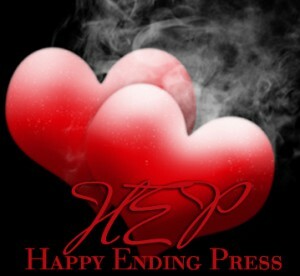 Happy Ending Press is an exclusive collection of Diana DeRicci works. Happy Ending Press is the brain child of Diana Castilleja as an extensive effort to offer professionally written and produced material for your reading pleasure. Feel free to peruse titles to purchase here, or at your favorite online retailer. Any questions, please contact HEP here. Mark Palastine lives across from a neighbor who will change his life. A man he’s only seen, and crushed on, in images, a model by the name of Jimmy Saldana. When Mark is an unfortunate witness to the meltdown of Jimmy’s love life through the personality mags, his heart goes out to the other man. Mark Palastine is dating the man of his dreams. All because of a fateful kiss that neither man could fight a few months before, he’s flying above the clouds in relationship bliss. That is until he sees his man on one of the local tabloids looking like a million bucks, and he’s not alone. Jimmy’s career is rolling full steam ahead and the challenges of dating a celebrity are beginning to encroach on Mark’s stable world. When Jimmy is nominated for an award, even Mark’s co-workers question his intentions. Will he stay at a job he enjoys, or will he find the strength and courage to be what Jimmy needs most? Mark and Jimmy are on the move, and the swiftly changing dynamics to Mark’s life are threatening to pull him under and apart from Jimmy. Can Mark survive the stress of Jimmy’s quickly spiraling career? Can he relinquish the independence he’s worked so hard to maintain in his own life for a life with Jimmy? One thing about momentum: Once you get going, it takes a rock wall to stop you cold. A persistent obsession with a goddess could jeopardize one man’s sanity, or could give him eternal love. An Ancient Civilizations Professor has hungered for one woman for over twenty years. The only problem–she hasn’t existed in millenia. When he is swept from modern times to the birth of the Roman Empire, he thinks his sanity has finally snapped. All he wants is to have one chance to love her. If he can win the heart of the Goddess of War, he might find more than any obsession could ever promise. NOTE: This story was previously published as part of the Anthology Love’s Immortal Pantheon 3. Deena is turning twenty-nine and her friend has given her the best gift, a free pass to Touch, a decadent luxury playground that caters to the rich and famous. Working endlessly to get her business off the ground, this break to play is exactly what she needed. Derek, the owner and controlling mastermind behind Touch, has ulterior motives though for getting Deena through the doors of Touch. Several months before, he’d discovered the knock-out blonde at a mutual friend’s wedding. Knowing she was dating, he tried to put her out of his mind, yet when her boyfriend leaves in a butcher’s rendition of chopped hearts, Derek lays out the ammunition to win her for himself. All he needs is his secret weapon: Touch. Victoria’s life is ordered and secure. She has buried the nightmares of her youth in the deepest part of her psyche. 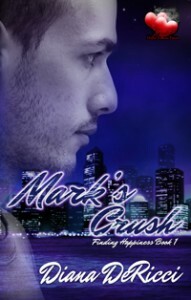 Yet no amount of control can keep her life from changing when Cory steamrolls his way into her private world. Her professional and aloof exterior melts with the heat he ignites within her and in spite of her mind telling her no, her heart wants everything he offers, everything she has believed herself unworthy of receiving. When love comes in not one but two packages, can Travis hold them together when pride dares to rip them apart? Avery and Kaitlyn are Travis’ every fantasy come to life. Fun, energetic, and both are hot for Travis. In silent agony, he’s been lusting for the two women for months, but doesn’t dare let those desires be known or risk losing two of his closest friends. Passions explode when the ladies take control and awaken all their hidden desires. 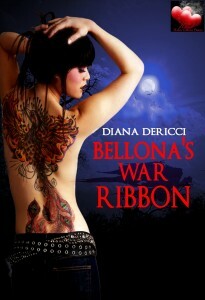 When an old flame rises out of Kaitlyn’s past, the line between love and pride is challenged. Can Travis prove he is the man they both want, the one man they both can love when love was never part of the no strings attached plan? Note: This title was previously published. The title and publisher have changed.